Travelers Insurance is being given a push with “Take The Scary Out Of Life”, an advertising campaign developed by Fallon Minneapolis. 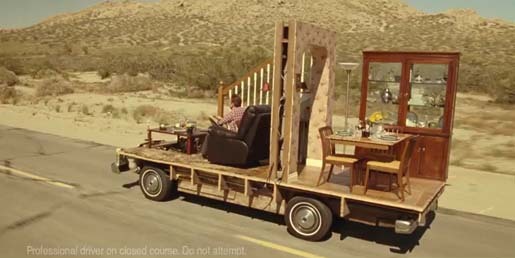 “”Driving Your House” features a man risking his entire house as he drives along on an otherwise carefree summer’s day. The Taking The Scary Out of Life campaign was developed at Fallon Minneapolis by chief creative officer Darren Spiller, head of art Christy Peacock, creative group head Leon Wilson, director of integrated production Corey Esse, executive producer Helen Park. Filming was shot by The Glue Society via Park Pictures with executive producer Jackie Kelman Bisbee.